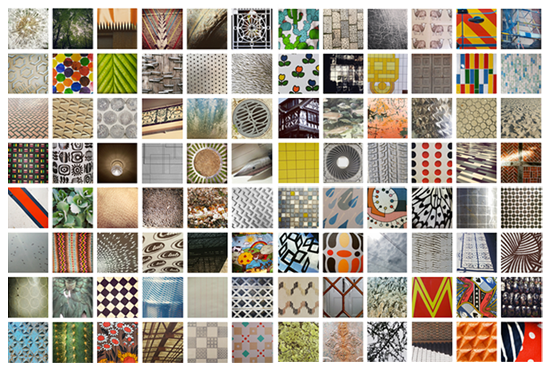 Woohoo - I just completed my 100 day project #100daysoffoundpatterns. Originally inspired by (designer/teacher/writer) Michael Beirut, this 100 day project was initiated by artist Elle Luna and the publication The Great Discontent in 2014. (Read more here) Anyone and everyone was invited to pledge their own creative commitment for 100 days, as a celebration of process. 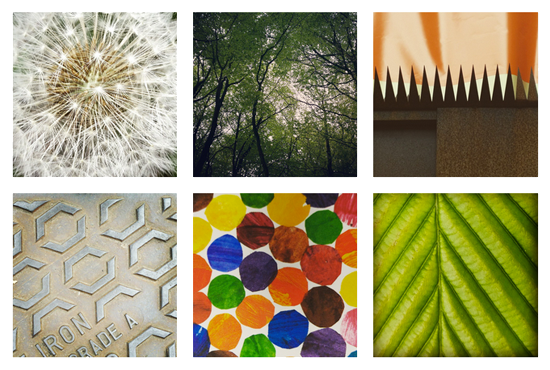 Being a pattern-fanatic I pledged to post a 'found pattern' once a day for 100 days. (It turns out I got my numbers mixed up a few times and actually ended up with 104!) Finding patterns was in fact a lot easier than I thought, and after just a few days I found myself more observant of my surroundings and searching for patterns without even knowing it - great for fine tuning my visual awareness! 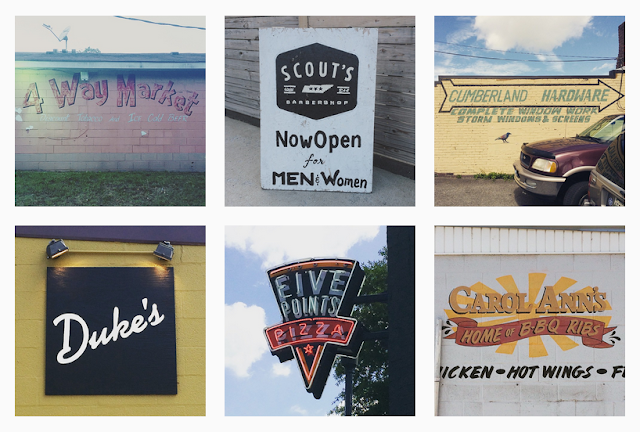 It was lots of fun, and also served as a kind of visual diary of places I have been and things I have done. 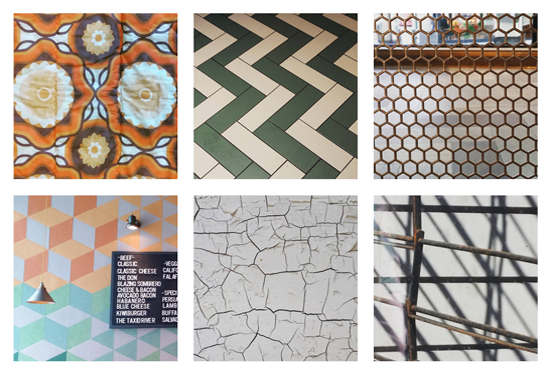 I have loved the variety of pattern making, (admittedly some are more 'textures' than patterns) from architecture to plants to food and different materials. It really taught me the value in committing to doing something creative everyday, however small it is. I also really enjoyed the community element of this project, checking out the many different projects literally across the globe, and connecting with other creative people. I look forward to the next one! Below are a few of snapshots of my project, along with a showcase of a few of my favourite projects, which I really enjoyed looking out for every day. The first feature project is from @Nashvilletypecase which does what it says on the tin! 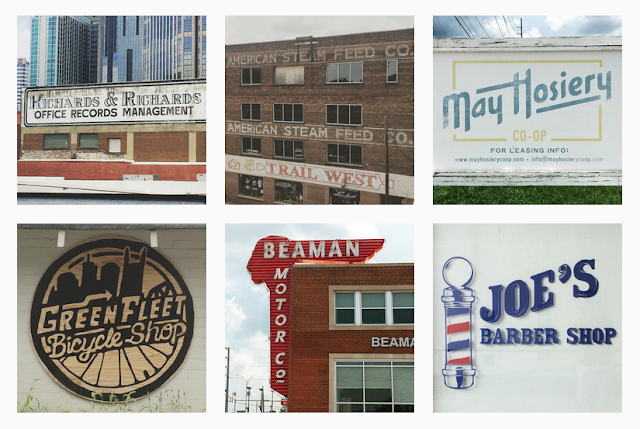 This project is a gorgeous collection of found type in Nashville, some real crackers in there for typophiles. Being many miles away I find this a real treat to get a glimpse of some lovely graphics from the other side of the pond. What a lovely little inspirational resource this project is. 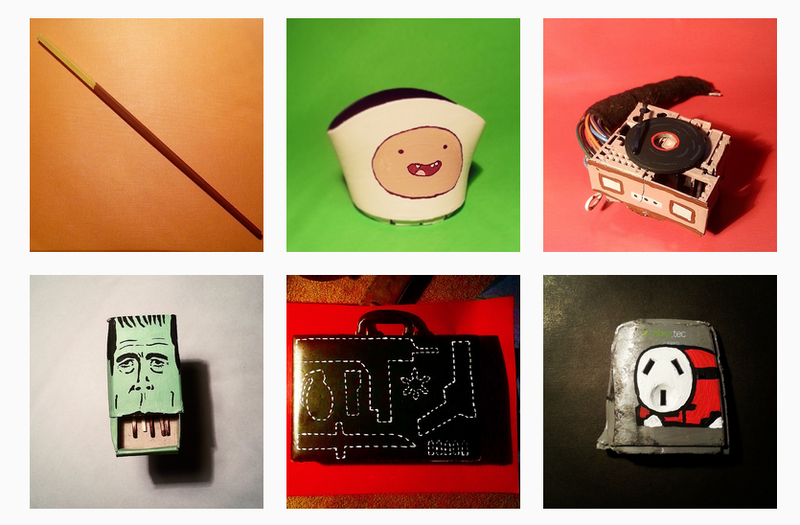 The next is #100daysofpaintingthings by Melbourne based @pocketbeagles. 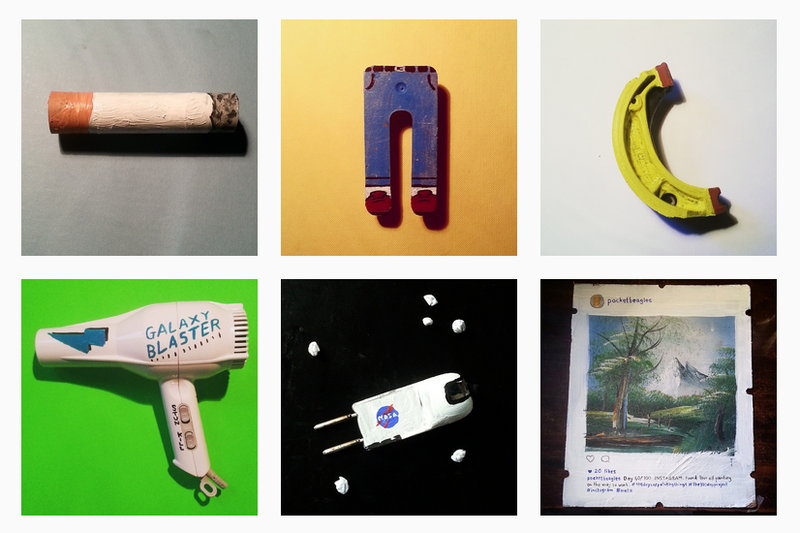 This is the most imaginative and fun project I found, where random objects were painted into all sorts of crazy stuff. Its funny, clever and great art. The Frankenstein matchbox is my favourite, closely followed by the galaxy blaster hairdryer. I am so going to miss this project! Finally I want to feature #100daysofportraitsonpaperbyevie by @evie_barrow. 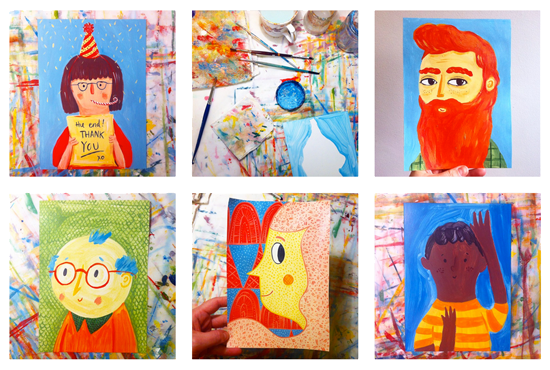 Another Melbourne based illustrator, Evie painted 100 lovely characters in 100 days. 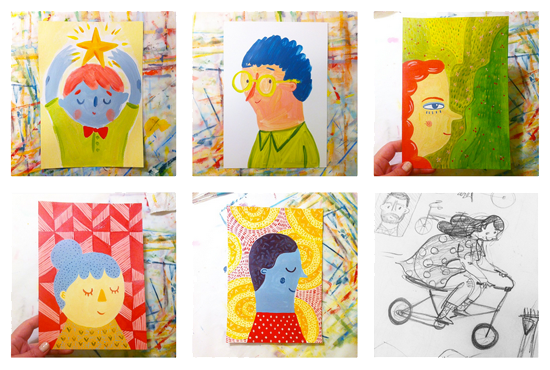 They are really charming and bright and cheered up my Instagram feed regularly!